Motherhood Stuffs: FREE Suave Men's Shampoo + Moneymaker!!! 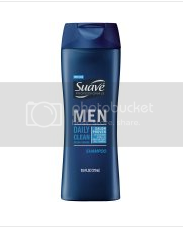 FREE Suave Men's Shampoo + Moneymaker!!! Final price= FREE +$0.53 moneymaker! Suave is a nice brand! I'm sure a lot of people will be happy about this offer! That's a really good deal. Ang laking tipid. How I wish na this offer will still be available when we get back to Georgia.